She's stunningly beautiful. Her fiance Nick is hot. She's a working model, signed with MiLK Model Management, a major modeling agency in London. She's been on the cover of People and LA Weekly, interviewed on the Today show, and featured in Vogue Italia. She has 1.2 million Instagram followers, 1.5 million followers on Facebook, and 57.2 thousand followers on Twitter. 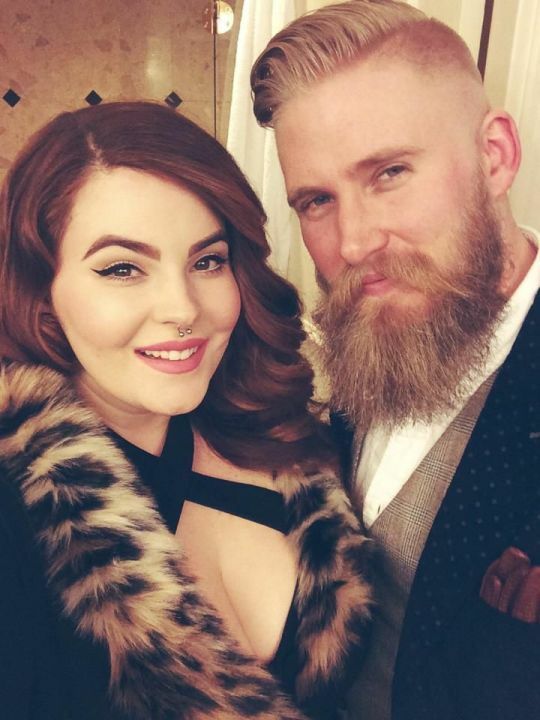 Her name is Tess Holliday. She has coined the phrase, "Eff your beauty standards" to combat the idea that you have to be thin to be beautiful. Clearly, that's not the case. And certainly not for Vogue Italia, since they named her one of the top six plus-size models in the world. Ed and I are still attempting to eat better and move more, which has been renewed to support my mother - a Type 2 diabetic - who started a plant-based diet a few weeks ago. I'm a little annoyed that I have to work at this, some days preferring to stay fat and revel in my beauty and confidence, because the general belief (not subscribed to by Tess) is that losing weight will improve one's overall well-being. I'm just not exactly thrilled with it this week. So, I thought I'd share Tess with you before I shared the links to the following weight loss, dieting, and exercise crap, not all of which are in favor of those three things. Can high intensity exercise help you lose weight? Why do Americans still believe bad science that suggest "fat" means "unhealthy"? Why you shouldn't exercise to lose weight. Skinny women also get diabetes. To feel better, eat less. And in case anyone's interested, I haven't had Dunkin' Donuts since January. But I reallly want it.